The nation’s premier association of investigative journalists, Investigative Reporters and Editors (IRE), has named two Fund for Investigative Journalism (FIJ) grantees as finalists for the 2013 IRE Awards. “The Cash Machine,” published by Philadelphia City Paper and reported by FIJ grantee Isaiah Thompson, was honored as a finalist in the Multiplatform category. The investigation revealed that the Philadelphia District Attorney’s office uses the civil asset forfeiture system to seize millions of dollars in cash from individuals stopped by police, without regard to the person’s guilt or innocence. And “The American Way of Eating: Undercover at Walmart, Applebee’s, Farm Fields and the Dinner Table,” by Tracie McMillan, has been honored as a finalist in the Book category. Her book, published by Simon & Schuster, investigated the exploitation of agricultural workers, and looked at why typical food production and food service employees do not earn enough to buy nutritious food for their families. The Fund for Investigative Journalism is proud to have supported such important work, and congratulates all the journalists who have been recognized as finalists and winners of the 2013 IRE awards. The Fund’s grant-making program is made possible by support from the Park Foundation, the Gannett Foundation, the Ethics and Excellence in Journalism Foundation, The Herb Block Foundation, the Green Park Foundation, the Morton K. and Jane Blaustein Foundation, The Nara Fund, the Otto-Whalley Family Foundation. and generous donations from family foundations and individuals. The John S. and James L. Knight Chair in Investigative and Enterprise Reporting at the Journalism Department in the College of Media at the University of Illinois also supports the Fund, as does the Dykema law firm. The board of the Fund for Investigative Journalism meets three to four times a year to award grants to investigative reporters. 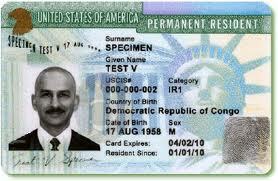 The next deadline for grant applications is June 10, 2013. But by 1983, the toxins created by copper production had turned the Clark Fork River’s upper reaches into the largest Superfund site in the US. 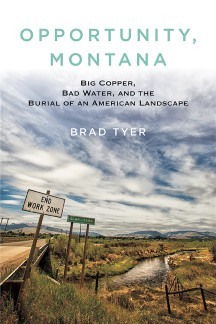 Tyer’s book, Opportunity, Montana: Big Copper, Bad Water, and the Burial of an American Landscape, published by Beacon Press, tells the story of the attempts to restore and rebuild a poisoned river. Tyer finds that in the process, “millions of tons of toxic soils are being removed and dumped – once again – in Opportunity,” a small forgotten town in Montana. From VTDigger in Vermont, the story of a project that would lure foreign investors with the prospect of US residency – on hold after running into trouble with Vermont authorities. An excerpt from the article by Nat Rudarakanchana and Anne Galloway: “Last spring, state officials became aware that a key participant in the project recently stepped down from a leadership role in the company. Richard Parenteau, the founder of DreamLife, who state officials say is now a ‘background investor,’ was convicted of perjury in Quebec last summer, according to court documents, after a decade-long dispute over a will. State officials say as a result of the conviction, Parenteau, a former Rock Forest (Quebec) chief of police, is no longer able to cross the border for meetings in Vermont. Parenteau has also been accused of violating labor rules in Quebec, according to court documents.